This website was created for you. We recognize parents and families as partners in their students' education. While your student is with us, we know that they will stay in close contact with you. We also know that students view parents and families as important resources in their decision making. Our goal with this website is to put you on the same page, literally, with your student and us so that together we can facilitate the kind of education your child is pursuing here at K.
This page contains information for you about campus resources, offices and programs, academic and campus life, and the academic calendar. We encourage you to familiarize yourself with this site, and to use it as you talk with your student. Kalamazoo College is a challenging environment that also provides high levels of personal support to students. We treat our students as adults who are fully capable of navigating their lives here (as generations of students before them have done), and we have multiple resources to help them do it effectively. 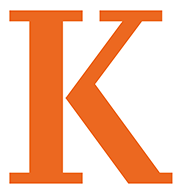 In addition to developing intellectual and academic competence, Kalamazoo College helps students become comfortable in managing their personal affairs - finding information, using resources, seeking help when needed, making decisions, and solving problems. We invite your help and support in enabling students to develop these essential "life skills." Please spend a few minutes wandering through the information and resources we have provided in these pages. I invite you to contact my office at any time with questions - 269.337.7209. Need a gift idea for your student? Check out the Bookstore’s web page for your Kalamazoo College gear.